This page and the inquiry/application form are currently under revision. 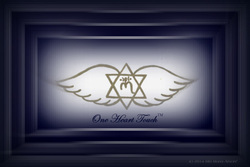 Until it the revisions are completed, you may submit your inquiry via email or contact form letting us know of your interest in One Heart Touch® training. Let us know why you feel One Heart Touch® is right for you and how you'd like to use it in your Life. Thank you for considering One Heart Touch® as a part of your Life's journey. It will serve you well.